Security enclosures are essential for the safeguarding of valuable inventory and/or materials and are found in a wide range of commercial and industrial businesses. From quality control to tool rooms to shipping offices to warehouses of all kinds, security enclosures provide maximum security. The S. W. Betz Company sells security enclosures of all shapes and sizes to fit any need that your company might have. 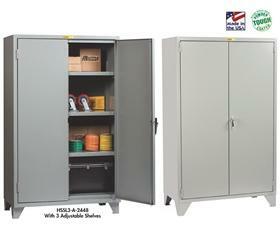 Security enclosure carts with wheels are available, as well as systems built directly into your facility. Some of the security enclosures that the S. W. Betz Company both sells and installs are below. Many accessories are also available to customers should they need them. Some of the different accessories are hinged doors, sliding doors, and service windows. Most of the security enclosures that we sell and install are made of steel wire, which allows for full visibility without air, light, or heat restrictions. If relocation of a security enclosure is needed, disassembly and assembly can be done with ease. The S. W. Betz Company distributes security enclosures from many of the top manufacturers in the industry, including SpaceGuard Products. If you are in need of or would like more information on any of our security enclosures, please contact us and one of our team members will be happy to assist you. For more information about Security Enclosures or any other product or service from S.W. Betz, fill out and submit the form to the right.